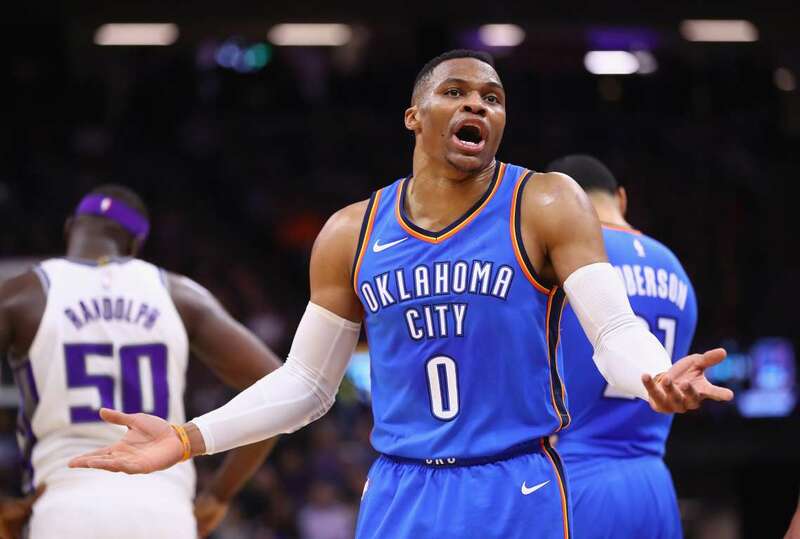 Russell Westbrook of the Thunder complains about a call during their game against the Kings on Tuesday in Sacramento, Calif. The Kings won 94-86. Photos - U.S. Daily News: What about team work?